Huawei's newly-announced CloudEngine 16800 data center switch is based on Broadcom’s merchant silicon, according to a published report from AvidThink's Roy Chua. In terms of capacity, the Huawei CloudEngine 16800 data center switch boasts the industry’s highest density 48-port 400GE line card per slot, yielding an overall 768-port 400GE switching capacity. AvidThink notes that the current top-of-line Broadcom Tomahawk 3 is capable of 32 400GbE ports for 12.8 Tbps switching capacity, less than the 48 400GbE ports on a single Huawei 16800 line card. The report also reveals that Huawei's 16800 will be available for early field trials in Q2 2019. In addition, Huawei will incorporate its own AI silicon into the switching platform's design for fine-tuned traffic optimization. AvidThink was formed in the fall of 2018 as an independent research and analysis company focused on technology infrastructure. Prior to that, AvidThink had operated as SDxCentral Research, part of SDxCentral.com, a leading technology media publication. Huawei unveiled its CloudEngine 16800 data center switch built for the Artificial Intelligence (AI) era. The platform has three defining characteristics making it suitable for the AI era: an embedded AI chip, the capacity for a 48-port 400GE line cards per slot,, and the capability to evolve to the autonomous driving network. Huawei said its embedded, high-performance AI chip will apply an innovative iLossless algorithm for the auto-sensing and auto-optimization of the traffic model. It promises lower latency and higher throughput based on zero packet loss. The company estimates its optimization will increase the AI computing power from 50 percent to 100 percent compared to traditional Ethernet, while improving the data storage Input/Output Operations Per Second (IOPS) by 30 percent. The CloudEngine 16800’s local intelligence and the centralized network analyzer FabricInsight creates a distributed AI O&M architecture capable of identifing faults -- a key goal of an autonomous driving network. In terms of capacity, the Huawei CloudEngine 16800 data center switch boasts the industry’s highest density 48-port 400GE line card per slot, yielding an overall 768-port 400GE switching capacity. Huawei says power consumption per bit is reduced by 50% with the massive configuration. The company also claims to have overcome multiple technical challenges such as high-speed signal transmission, heat dissipation, and power supply. Speaking to foreign reporters for the first time since 2015, Huawei founder Ren Zhengfei said the company does not facilitate spying by China's central government nor is it controlled by the Communist party, according to reporting from the South China Morning Post and others. Ren said Huawei has never received a request from Chinese authorities for improper information and that the company always acts in the best interests of its customers. He categorically rejected the assertion that Huawei might be required by Chinese government agents to install backdoors in its equipment to facilitate espionage. Ren downplayed Huawei's role in current US-China trade tensions. With regards to the arrest of his daughter, Meng Wanzhou, who is also Huawei's CFO, Ren declined to comment directly but expressed gratitude to Canadian justice officials for granting her bail. Construction is now underway on Facebook's first custom-built data center in Asia. 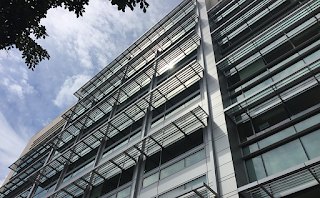 The new data center in Singapore shares some characteristics with other Facebook facilities, such as the use of 100% renewable energy, but features many unique aspects. First, it will be an 11-story building that will sit on 12 acres of land in Singapore’s Tanjong Kling Data Center Park. Second, it will be the first to incorporate the new StatePoint Liquid Cooling (SPLC) system that Facebook developed with Nortek Air Solutions. The company estimates that SPLC technology can reduce peak water usage by more than 20 percent in Singapore’s hot and humid climate. Facebook is aiming for an expected annual power usage effectiveness (PUE) of 1.19 with the Singapore data center. Facebook is pioneering a StatePoint Liquid Cooling (SPLC) system, developed in partnership with Nortek Air Solutions, that promises to increase the power efficiency of its data centers. The latest Facebook data centers in certain dry climates currently use a direct evaporative cooling system based on outdoor air rather than water. Facebook estimates that the new SPLC technique can reduce water usage by more than 20 percent for data centers in hot and humid climates and by almost 90 percent in cooler climates. The SPLC system is described as an advanced evaporative cooling technology, patented by Nortek, that uses a liquid-to-air energy exchanger, in which water is cooled as it evaporates through a membrane separation layer. Further details are provided on Facebook's engineering blog. Marcatel, an international carrier based in Mexico, has deployed Fujitsu Network Communications' 1FINITY T310 transport blades in their commercial, long-haul optical transport network. Marcatel operates a large optical fiber network that interconnects Mexico, the United States, Canada, South America, Europe and Asia, providing high-capacity trunking services to enterprises and international carriers. After conducting multiple field trials across Mexico using both the 1FINITY T300 and T310 transport blades, the carrier has initially deployed the 1FINITY T310 solution in a bookended configuration over their existing 100G DWDM optical system. The result is a trans-American, Open Line System (OLS) communications network that stretches from Monterrey, Mexico, to McAllen, Texas. Marcatel plans to expand the deployment and upgrade their DWDM system to 200G in early 2019. Macquarie Infrastructure Partners has agreed to acquire Bluebird Network, a Midwest telecommunications company. Financial terms were not disclosed. Bluebird focuses on connecting rural and urban areas throughout the Midwest. 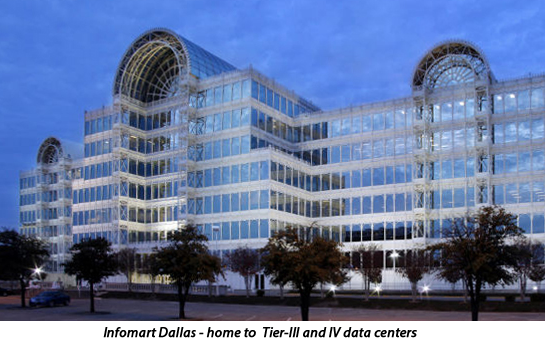 The company provides a wide variety of network services to enterprise and carrier customers, including secure and reliable bandwidth, Metro Ethernet, Wide Area Network Ethernet, Dedicated Internet Access, E-Line Services, Ethernet Virtual Private LAN Service (E-LAN) and Mobile Backhaul Transport services. Bluebird’s fiber optic infrastructure also connects to the Bluebird Underground Data Center, an underground colocation facility located in Springfield, Missouri. 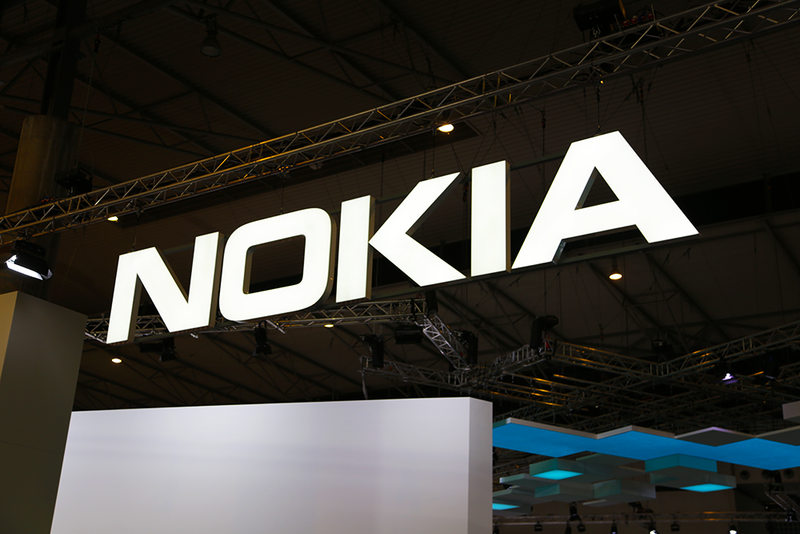 Nokia announced plans to eliminate 350 positions in Finland. The company, which is based in Espoo, Finland, currently employs about 6,000 people in its home country. Nokia announced a corporate realignment and cost-cutting program aimed at refocusing its efforts on high-performance, end-to-end networks, expansion into new enterprise segments, building a standalone software business, and generating significant licensing revenues. Specifically, Nokia aims to reduce of its annualized operating expenses and production overheads by EUR 700m by the end of 2020 compared to the end of 2018, of which EUR 500m is expected from operating expenses. Cost savings will come from automation; process and tool simplification; significant reductions in central support functions; prioritization of R&D programs; a sharp reduction of R&D in legacy products; efficiency from further application of a common software foundation and innovative software development techniques; the consolidation of selected cross-company activities; and further reductions in real estate and other overhead costs. Nokia said the cost-cutting will entail a net reduction of employees globally but did not disclose the size of the expected cuts. "Nokia has made considerable progress in executing on its strategy, with excellent momentum in providing high-performance end-to-end networks, targeting new enterprise segments and creating a standalone software business," said Rajeev Suri, President and CEO. "Our early progress in 5G is extremely strong, we continue to increase our investment in this critical technology, and our win rate for new deals suggests that we are in a very good competitive position." "With the successful Alcatel-Lucent integration and cost-saving program soon to be behind us, we are taking steps to accelerate the execution of our strategy and sharpen our customer focus. We will also redouble our efforts to ensure that Nokia's disciplined operating model remains a source of competitive advantage for us, and that we maintain our position as the industry leader in cost management, productivity and efficiency. We noted earlier this year that we would need to take further cost actions in order to deliver on our 2020 guidance. Today, we are quantifying those actions and raising the certainty that we can meet those commitments," Suri said. Creating a new Enterprise Business Group that consolidates a range of existing, fast-growing activities into one focused organization reporting directly to the President and CEO. Accelerating Nokia's strong momentum in 5G by sharpening the focus of the Mobile Networks Business Group to be on mobile radio products. Strengthening Nokia's capability to deliver industry-leading, fully-integrated and tested Cloud Core solutions by aligning both resources and accountability to the Nokia Software Business Group. Kathrin Buvac, who is currently Chief Strategy Officer for Nokia, has been nominated as President of Enterprise. Rubrik, a start-up based in Palo Alto, California, closed $261 million in new venture funding for its Cloud Data Management platform, which delivers data protection, search and analytics, archiving and compliance, and copy data management capabilities for hybrid cloud enterprises. This gives the company total venture backing of over $553 million and a valuation of $3.3 billion. The new funding came from new investor Bain Capital Ventures, and with strong participation from existing investors Lightspeed Venture Partners, Greylock Partners, Khosla Ventures, and IVP. Rubrik now has over 1,400 employees and is delivering global 24×365 support with three locations in the US, plus locations in Ireland, the Netherlands, India, and Tokyo. Instant Access – Rubrik delivers instant application recovery and predictive global search by unifying data locked within disparate application silos into one globally indexed namespace while leveraging zero-data cloning technology to enable on-demand copy data workflows. Automated Orchestration – Rubrik nearly eliminates daily operational management by enabling a single policy engine to orchestrate service level agreements across the entire data lifecycle. The Rubrik programmatic interface automates how data services are created, consumed, and retired across clouds. Security and Compliance – Rubrik secures data whether in-flight or at-rest throughout its lifecycle, regardless of location. The Rubrik platform delivers granular user provisioning and data permissions across all cloud data management workflows while providing automated compliance reporting to successfully complete various industry and internal audits. In 2018, Rubrik welcomed Microsoft Chairman John W. Thompson and Chairman Emeritus and former CEO of Cisco John Chambers as a board member and a board advisor, respectively. The company also expanded its executive team with several high profile hires from leading technology companies, including: Chief Financial Officer Murray Demo (Atlassian), CIO Avon Puri (VMware), Chief Legal Officer Peter McGoff (Box), Chief People Officer Jeff Vijungco (Adobe), SVP of Product & Strategy Shay Mowlem (Splunk), and SVP of Finance & Strategy Kiran Choudary (Atlassian). Amazon Web Services has acquired TSO Logic, a start-up based in Vancouver BC, Canada. Financial terms were not disclosed. TSO Logic has built an automated, data-driven analytics solution for large workloads. The tool helps organizations plan the best fit for each workload across public and private clouds. SoftBank has chosen Keysight’s 5G network emulation solutions to characterize and validate new 5G New Radio (NR) mobile devices intended to operate on the Japanese mobile operator’s 5G network. Keysight is supplying its 5G test solutions, including its 5G NR network emulations solutions, based on the UXM 5G platform for radio frequency (RF) performance validation of new 5G mobile devices in over-the-air (OTA) test environments. "Keysight is pleased to help leading mobile operators like SoftBank meet their strategic goals to commercialize 5G," said Kailash Narayanan, vice president of Keysight’s wireless test group. "Keysight’s industry-leading 5G solutions, expertise in OTA testing, and comprehensive service offerings, combined with our many collaborations with mobile operators and their ecosystems, will significantly accelerate 5G development and deployment globally." Microsoft was awarded contract valued at $1,760,000,000 for Microsoft Enterprise Services for the Department of Defense (DoD), Coast Guard, and intelligence community. The contract covers Microsoft product engineering services for software developers and product teams to leverage a range of proprietary resources and source-code, and Microsoft premier support for tools, knowledge database, problem resolution assistance, and custom changes to Microsoft source-code when applicable.